House Passes Farm Bill With Controversial Work Requirements The House of Representatives passed its version of the farm bill Thursday afternoon with strict work requirements for the Supplemental Nutrition Assistance Program, known as SNAP. 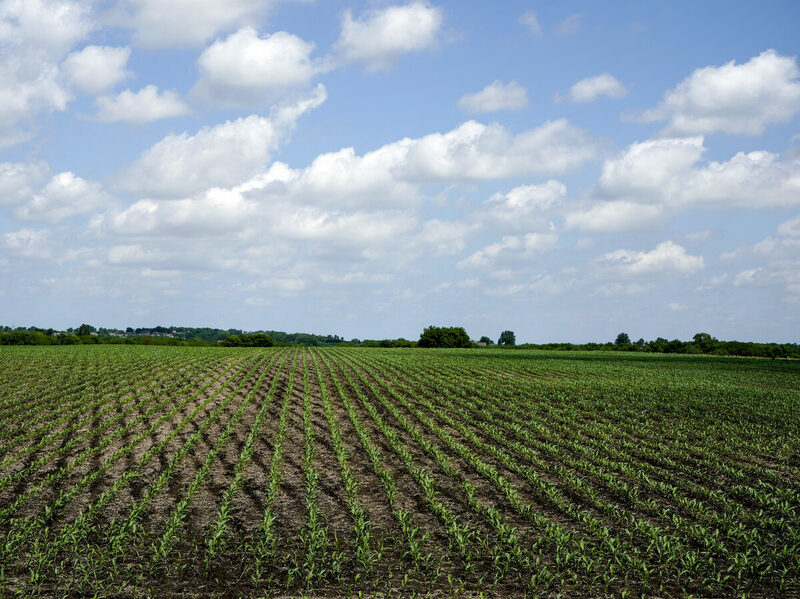 Here, young corn plants grow in a field in rural Ashland, Neb. Thursday afternoon the House passed its version of the farm bill, including controversial work requirements for many SNAP recipients. Shortly after its passage, President Trump tweeted his support for the measure. "Farm Bill just passed in the House. So happy to see work requirements included. Big win for the farmers!" The House bill failed last month as 30 Republicans — many of the members of the House Freedom Caucus — bucked leadership and sided with Democrats to defeat the bill after failing to get concessions on spending and a vote on a conservative immigration bill. Democrats, then and now, were unanimous in their opposition of the farm bill because of the controversial SNAP work requirements for most adults. The measure restricts who is eligible to receive aid and also requires millions of Americans who receive food through government assistance to work 20 hours per week, enroll in job training programs or be cut off from those benefits. Democrats have been relentless in their opposition to the changes to SNAP, arguing the new provisions are cruel and will cause food insecurity for millions of Americans. Republicans say the program has grown far too large and is unsustainable. Imposing job requirements, they argue, will promote self-sufficiency, push people into the workforce and help lower the number of people on government assistance. "This bill includes critical reforms to nutrition benefits that close the skills gap, better equip our workforce, and encourage people to move from welfare to work, so more Americans have the opportunity to tap into the economic prosperity we're seeing right now." More than 42 million Americans participated in the SNAP program last year according to data from the Department of Agriculture. The progressive-leaning Center on Budget and Policy Priorities estimates that these cuts and changes would eliminate or reduce food assistance to more than one million low-income households. The current farm bill, which expires in September, already has work or equivalent job training requirements for SNAP recipients 18 to 49, who don't have dependents or a disability. Rep. Collin Peterson, D-Minn., the top Democrat on the House Agriculture Committee, said in a statement that the bill "worsens hunger and it fails rural communities." He also signaled he was eager to work with the Senate when it passes its competing version of the farm bill in the coming weeks. "The Senate's version isn't perfect, but it avoids the hardline partisan approach that House Republicans have taken here today, and if it passes, I look forward to working with conferees to produce a conference report both parties can support, which is the only way to get a farm bill enacted into law." The Senate is expected to vote on its version, which does not include stricter work requirements, as soon as next week. The current farm bill, which is renewed every five years, expires Sept. 30.